Today I finished up my tour of Central Park. 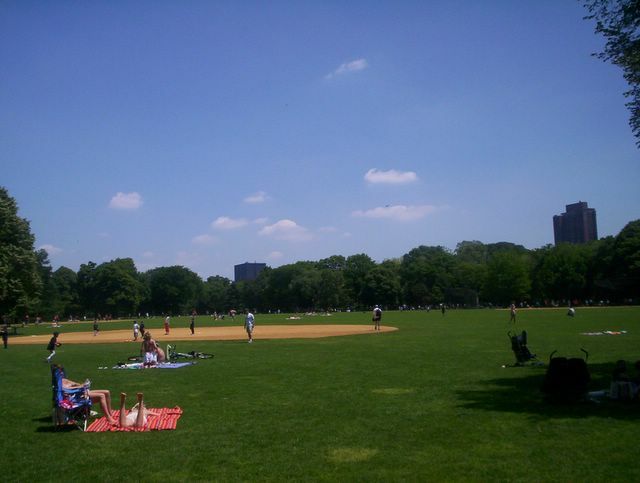 It was a warm and sunny day with the temperature around 29 degrees celcius. 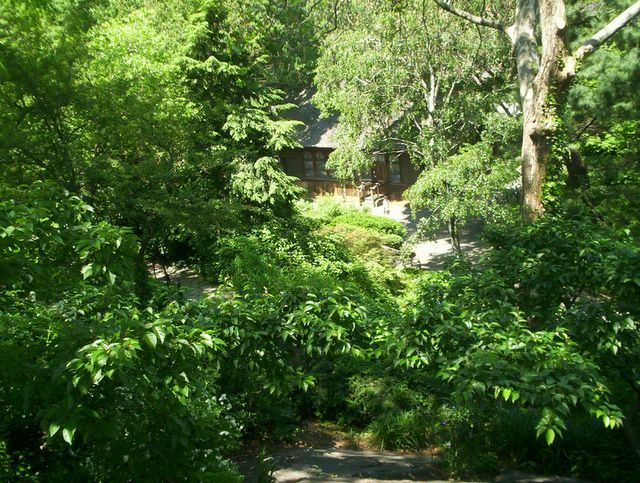 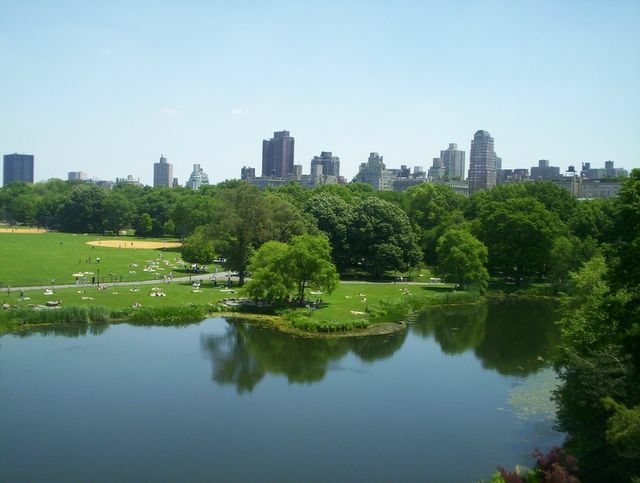 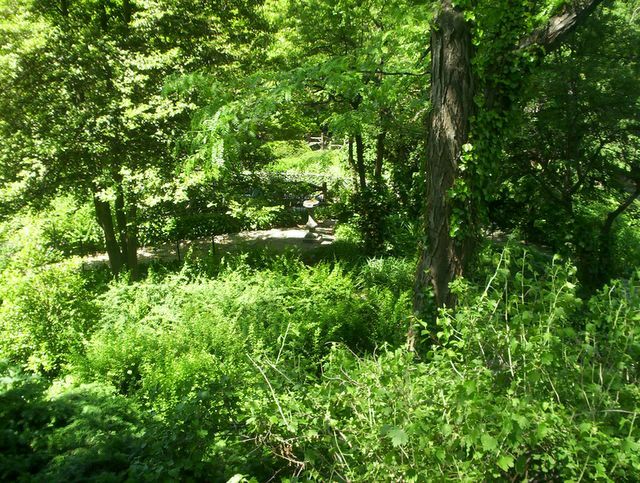 I travelled up to West 72nd Street and Central Park West to Strawberry Fields. 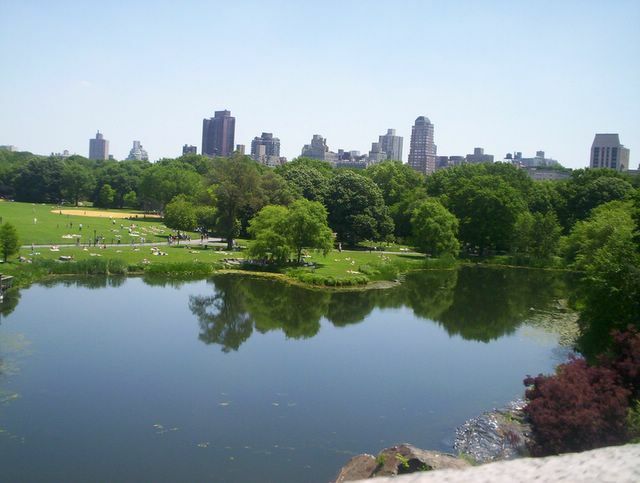 Then I made my way through Central Park to Fifth Avenue stopping at various locations along the way. Once I got to Fifth Avenue, I noticed a parade was in progress. 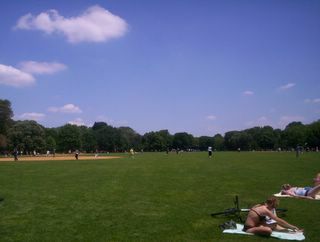 You never know in New York City when a parade is going to erupt. 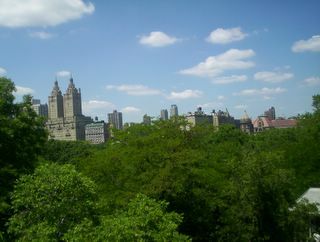 Anyway, I walked the parade route (behind the crowds) to Grand Central, after stopping off at Wendy's for a Frosty. "Imagine all the people..." a mosaic dedicated to the Beatles' John Lennon in Strawberry Fields (72nd street and Central Park West). 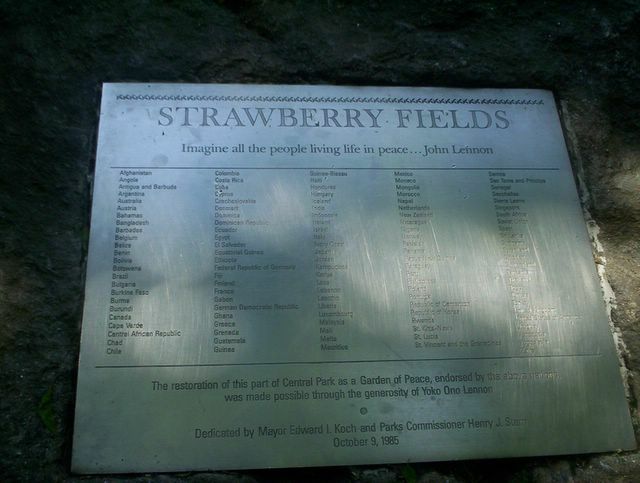 All the countries that contributed to the landscaping of Strawberry Fields following the death of John Lennon. 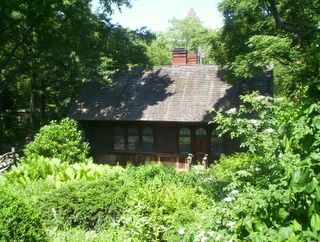 Shakespeare's Garden with the Swedish Cottage. 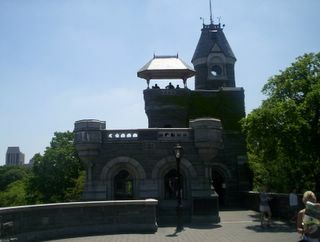 Belvedere Castle. Belvedere Castle is home the National Weather Service's weather station for Central Park and Manhatten's Weather Station readings off the top of the tower (at right in the photo). Turtle Pond from Belevedere Castle with the Upper East Side buildings in the background. Delacorte Theatre. 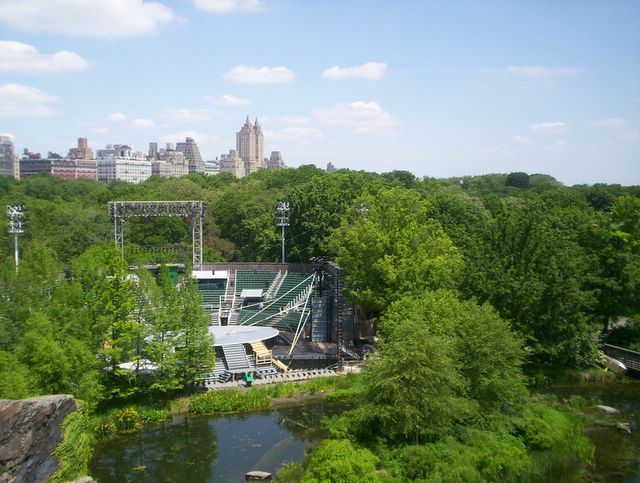 Home of the summertime Shakespearian Plays. Meryle Streep, Michelle Pfeiffer, Christopher Walken, Helen Hunt, Morgan Freeman and Kevin Kline have performed here. Turtle pond from the top of Belvedere Castle. The Great Lawn of Central Park is just to left in the picture. 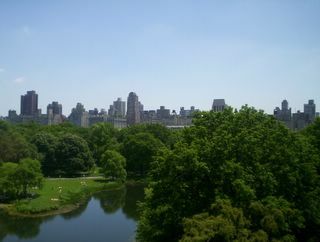 A look at the Upper East Side skyline from the top of Belvedere Castle. 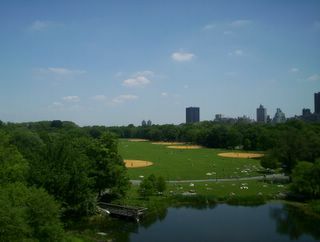 A look at the Great Lawn of Central Park from Belvedere Castle. 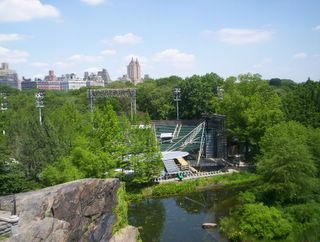 Another look at Delacorte Theater from the top of Belvedere castle along with the buildings of Upper West Side in the background. A look at the buildings of Upper West Side from the top of Belvedere Castle. A look at the Great Lawn of Central Park. 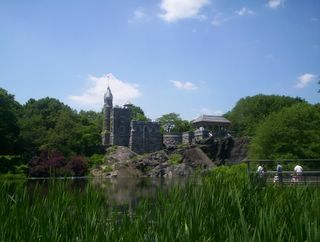 Belvedere Castle and Turtle Pond looking south from the Great Lawn. 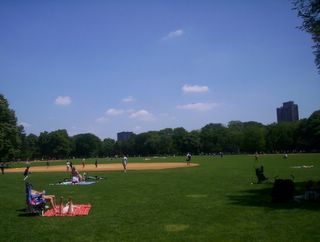 The Great Lawn, another view. Cleopatra's Needle, located at the rear of the Metropolitan Museum of Art. 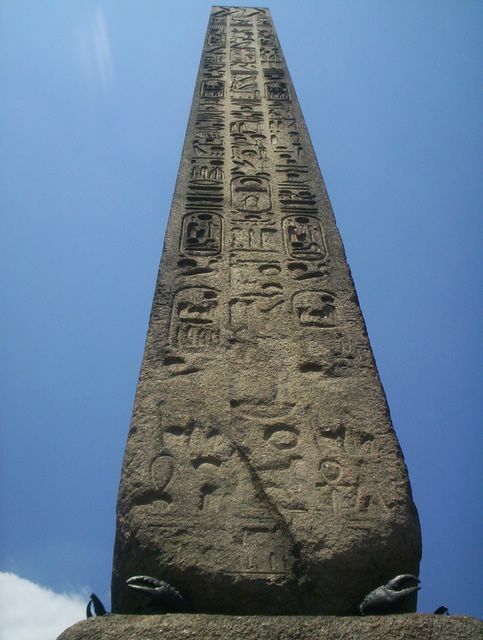 This obelisk began life in Heliopolis, Egypt around 1600 B.C. 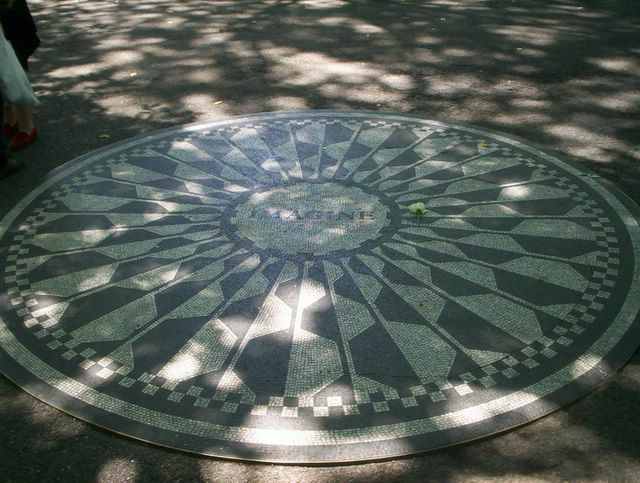 and somehow landed in New York's Central Park.